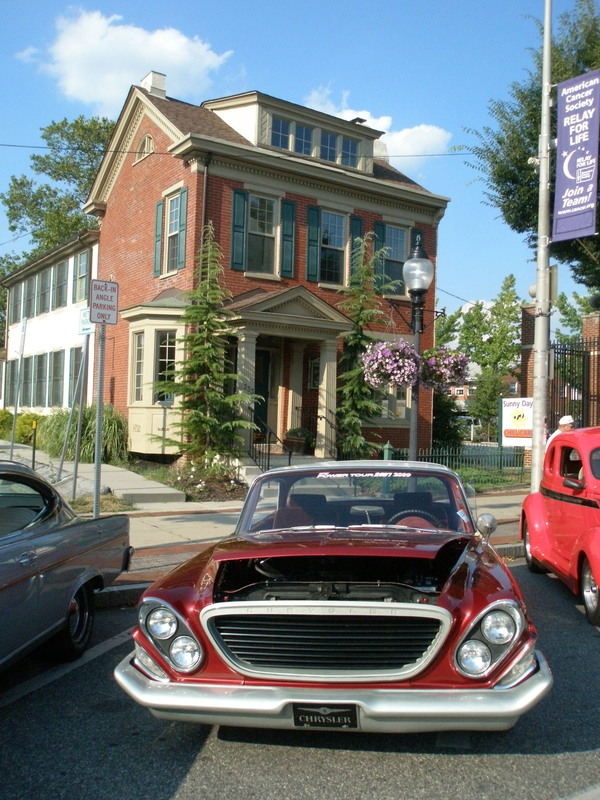 Lauren and John Fritz and friends are holding a benefit to raise funds for home renovations related to their sons, who both suffer from Duchenne Muscular Dystrophy. More info is available at www.hoperocks.info. There is also a facebook page and blog at Hope Rocks for Jake and Ryan. Jake and Ryan (ages 10 and 6) have a form of MD called Duchenne with no cure and little treatment. Their family is working with a local non-profit, Happy 2 be Home, to raise funds to modify their home for the kids. 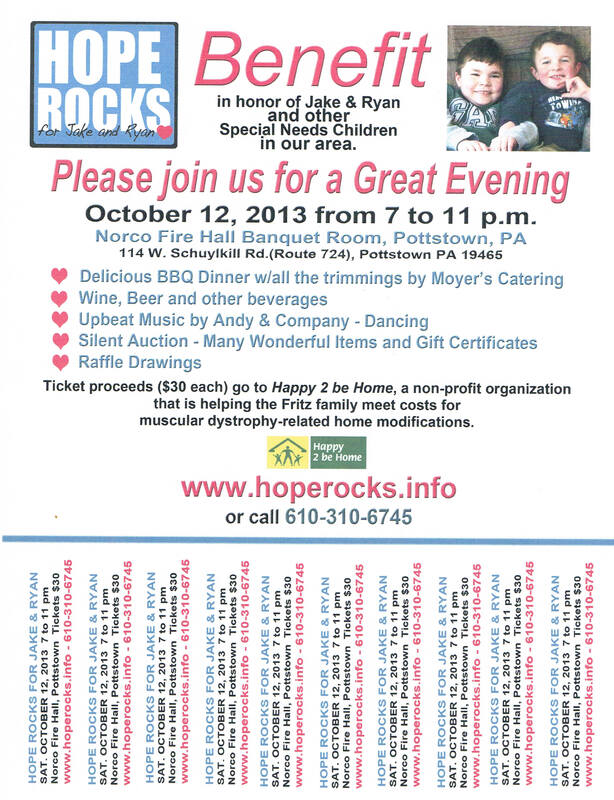 The Hope Rocks for Jake and Ryan Benefit will be Saturday, October 12th, 7-11 pm at the Norco Fire Hall Banquet Room. The night will include a BBQ dinner by Moyer’s Catering, live music by Andy & Company, and a Silent Auction with many wonderful items, Tickets are $30. All proceeds go to Happy 2 be Home, and will help them to create an accessible home for Jake and Ryan.